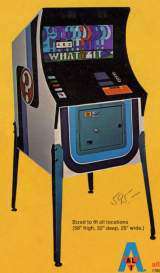 Coin-op Misc. 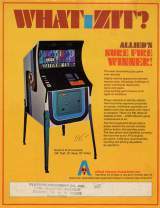 Game published 47 years ago by Allied Leisure Industries, Inc.
Whatizit? © 1972 Allied Leisure Industries, Incorporated.